Once, Kendall ran into her dad in the kitchen when she came down in the middle of the night to get water. It was 4 a.m. and he was dressed like a woman. She said her heart dropped at the sight. 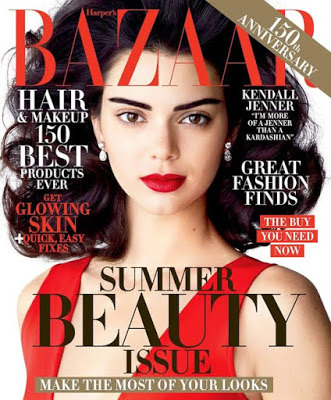 Kendall Jenner is the cover girl for the May issue of Harper's Bazaar and in an interview with the magazine, the 21-year-old model opened up about what it was like to accept the change that came with her father's transitioning. 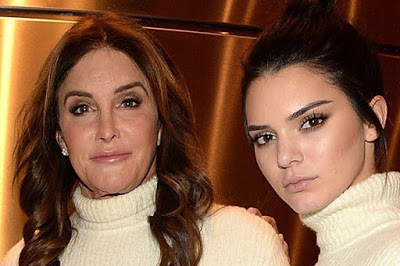 Kendall revealed that she kind of suspected long before her father informed the family that he wanted to transition. She explained that she saw a lot of clues prior to her dad's 'coming out' that made her suspicious. she said clues like finding wigs and nail polish lying around the house gave her father away. "My heart dropped. That's when she would dress as herself, at four in the morning, before we would get up. So that was like, 'Whoa,' for a second," Kendall said. "When she told us, and told us that it was going to be a real thing, it was an emotional couple of months. And if I would talk about it, I would cry, just because you're mourning someone… losing someone. The person is still there, of course, but physically you're losing someone. It was my dad who I grew up with my whole life and who raised me." Kendall said she eventually learned to accept what had happened and be thankful that she still had her dad around. "It's an adjustment, for sure. But honestly, you start to realize that this person is still alive. This person is still here. They are still a blessing. They are still awesome. I realized that I should just be thankful that I still have my dad. It starts to just become normal. You're just like, 'OK, cool.’"